The bottom link is to a bootleg live recording of DJ Logic’s Project Logic performing live in Providence, RI opening for Medeski, Martin & Wood in 1999. 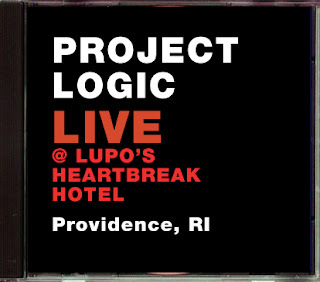 I was sitting in my apartment in Brooklyn, NY, (fresh off the Staten Island Ferry returning from a recording session with Vernon Reid) when drummer, Scooter Warner called and asked me to finish the MMW/Project Logic tour. Scooter started the tour but had to leave quite suddenly. Rope-a-dope records flew me out unrehearsed straight into the next gig. Normally, flying into the middle of a tour unrehearsed would be a nightmare, but I knew most of the material from recording some of the drums on DJ Logics debut album and the rest of the set was improvised. Hope you enjoy.